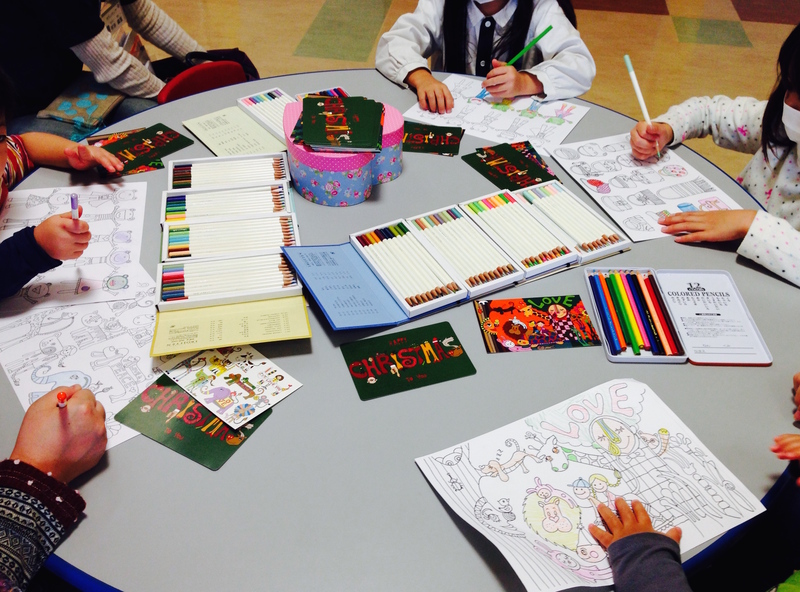 Due to the influenza epidemics in the scheduled ward, we opened the drawing and coloring workshop at the play corner of the waiting area for outpatients. It was a good timing as there were some kids suffering from boredom during wainting for a call and some were waiting to be vaccinated for influenza. Kids enjoyed watching the magic of balls disappearing, increasing and decreasing. 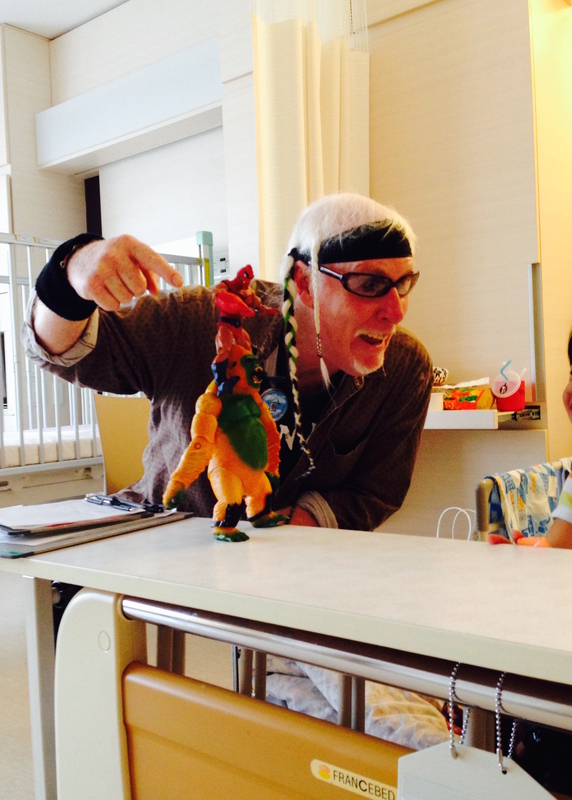 But the best thing that made them laugh was Cloudy’s comic performance. 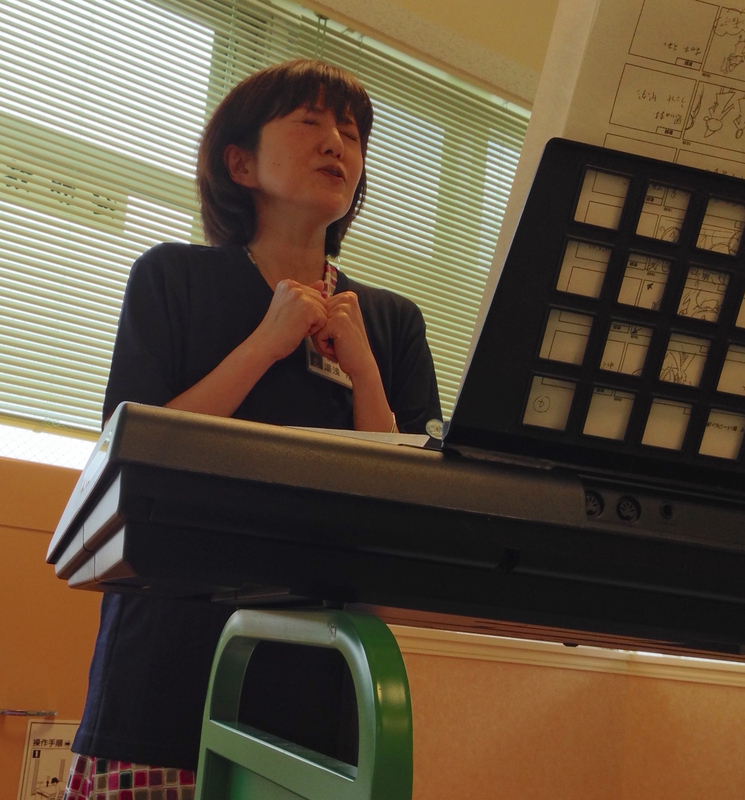 The playroom was filled with children, parents, grandmother, nurses… They all enjoyed singing along Yuko-san’s piano & singing. 2 private rooms were also visited. 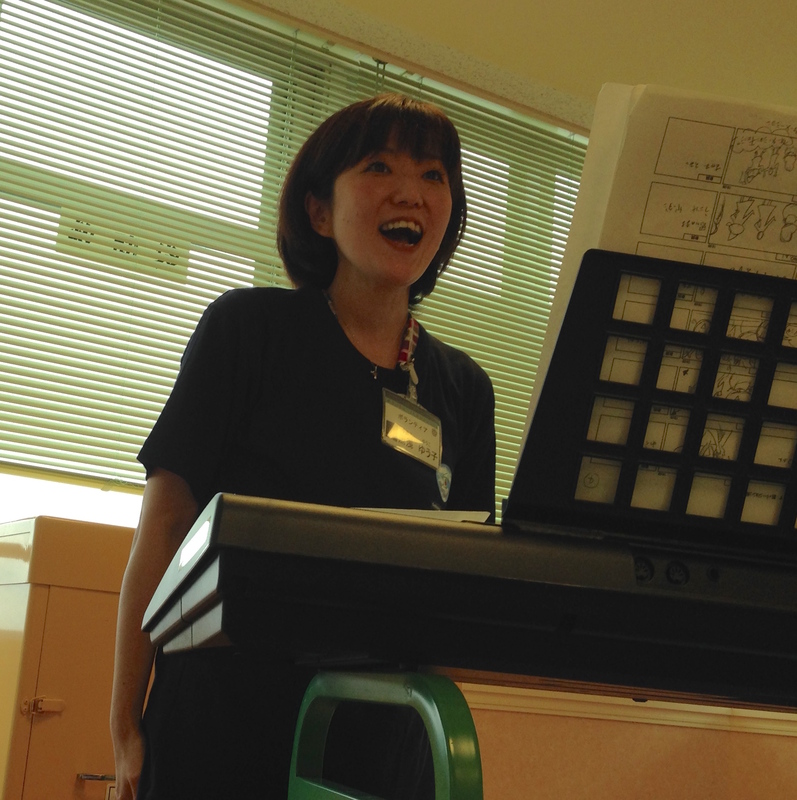 They were both for babies, but their mothers enjoyed Yuko-san’s singing too. 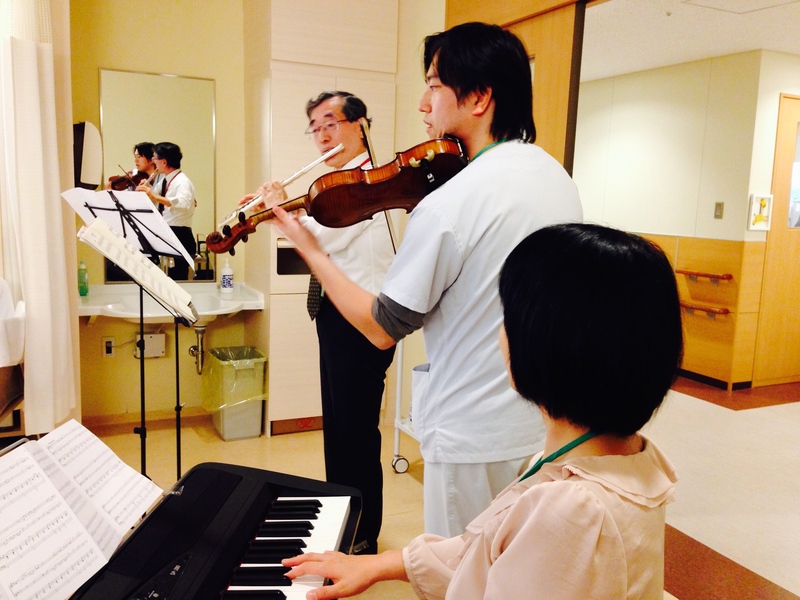 Violinist Mikiko Ishiuchi started joining SHJ at Japanese Red Cross Medical Center. 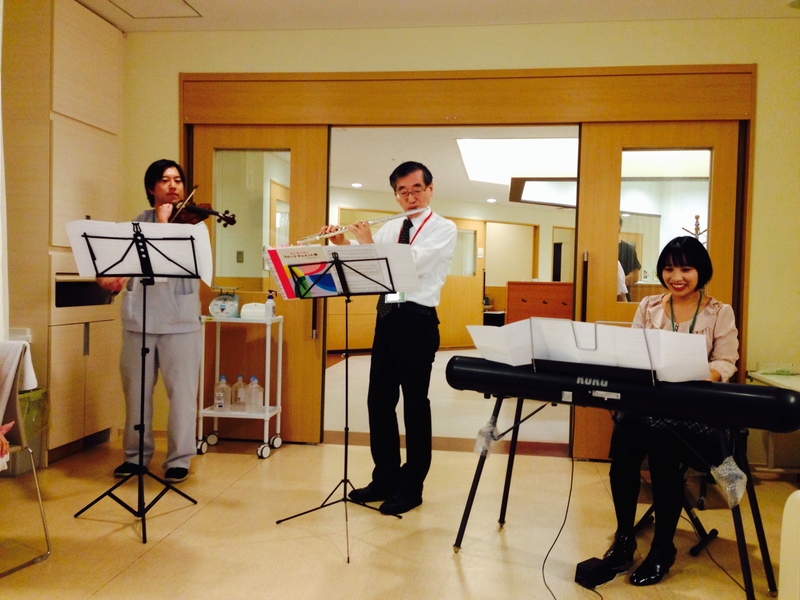 Chrismas songs played by Mikiko and singer song writer Kazuko Ishibashi were so beautiful. 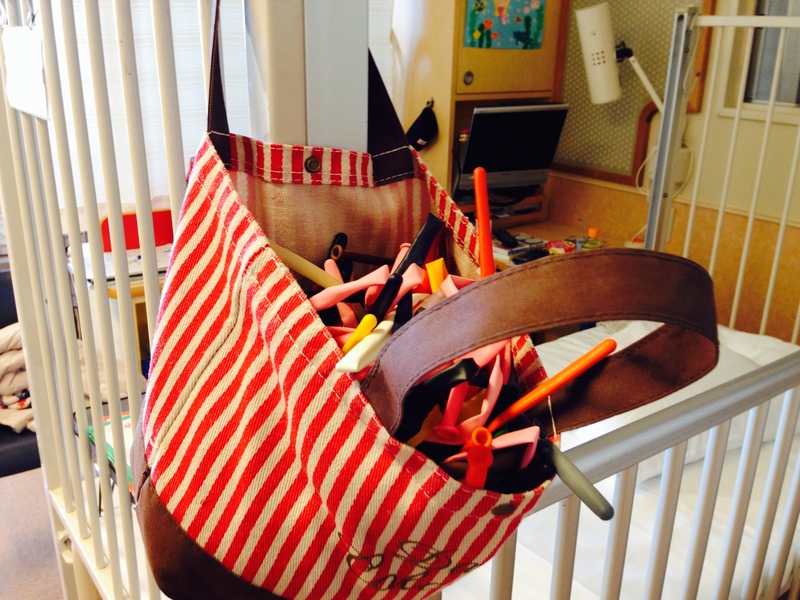 They played at each bedside. A girl staying long at the ward who is good at writing lyrics and making melodies and other patient listened to her song played by the artists. For all she stays on the bed long, she keeps on doning what she likes, which makes us moved and we can’t help helping her lifework. Children ejoyed making micanga(good-luck bracelet). A girl took orders from those who couldn’t move out from the bed and made some micangas for them. A girl made one lying on her bed with a bookrest above her using a magnet. 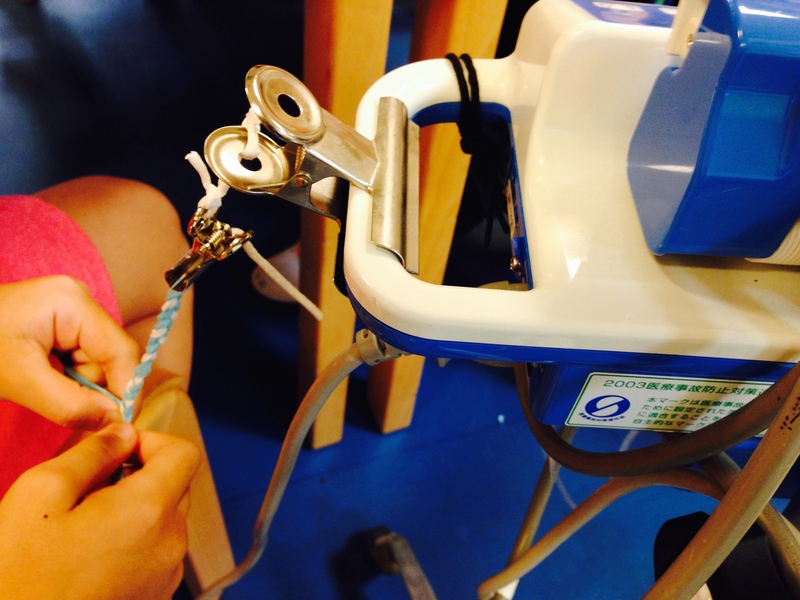 One used A hospital drip for fixing the strings. A girl whose left hand was fixed by a bandage used the other hand cleverly to finish making one micanga. Many scenes were there to make us feel their strength. 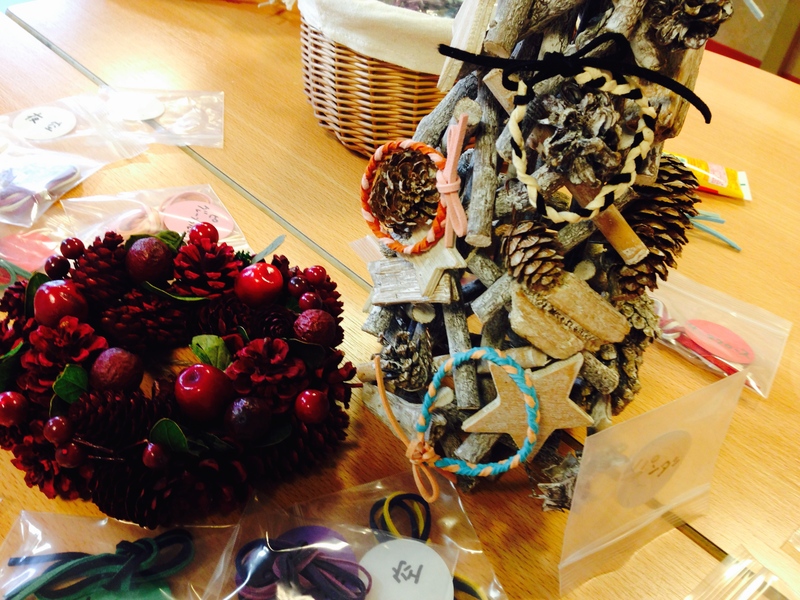 Lots of such activities which let kids feel like doing something on their own with some help are what we’d like to provide! Total numbers of music Mari-san answers to play everytime is about 30. What a time of healing for everyone in the ward! 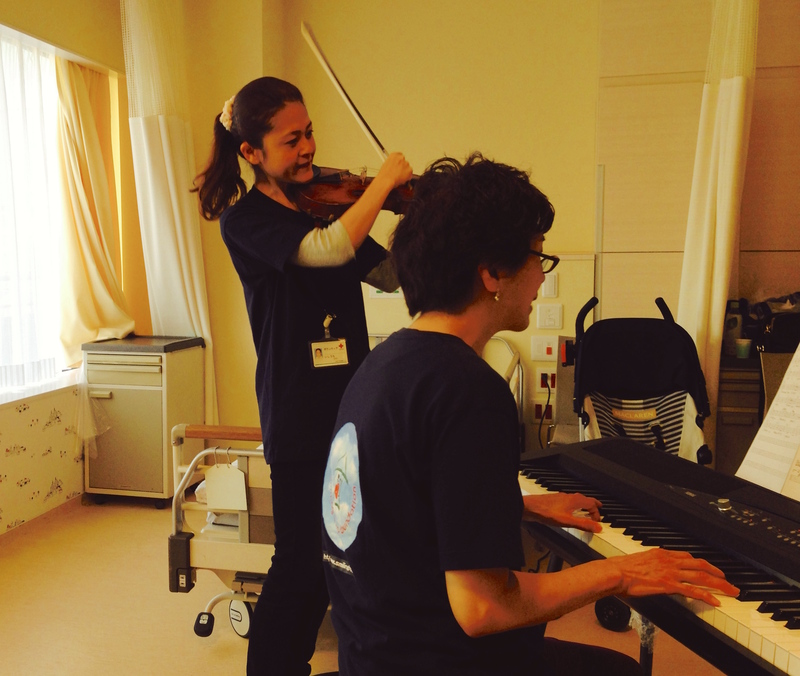 This time two doctors took part in 2 music “Salut d’amour” and “Silent Night” , which made the atomosphere a little different and provided the activity some change.